Resident. Locally common in south east England but becoming less common further north and west. Mines were found for the first time at Breidden Hill in the north-east of the county in 2010. Wingspan : M & F, 10-13.5mm. C. milvipennis, C. alnifoliae and C. badiipennella. Woods and hedgerows with elm saplings. Leaf miner/Case-bearing. Eggs laid on leaf. 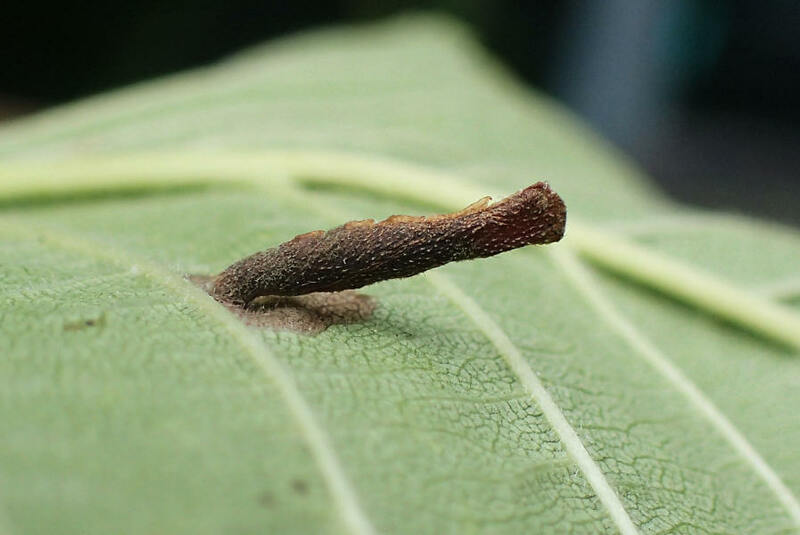 Larva forms a case which from which it feeds by making large conspicuous blotches in the leaf. Pupates site unknown.